ASIC has commenced proceedings in the Federal Court of Australia to stop Monarch FX Group Pty Ltd (Monarch FX), and its former director and general manager, Quinten Hunter, from carrying on a financial services business. The Federal Court of Australia made interim orders on 10 October 2014, restraining Monarch FX and Mr Hunter from doing various things, including carrying on a financial service business, until 4.00 pm on 21 November 2014. These orders will remain in place until that time. Monarch FX provides FX signals to consumers who purchase memberships with the company. 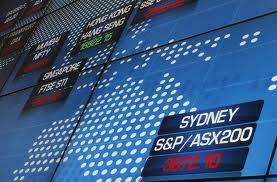 The signals are automatically executed on members’ trading accounts. ASIC is concerned that Monarch FX is not licensed or authorised to operate certain services which include its Managed Discretionary Account (MDA) services which it operates by automatically executing trades on members’ trading accounts without prior reference to those members for each transaction recommending members establish a self-managed superannuation fund (SMSF) to purchase its memberships, and then use money from their SMSF to trade in foreign exchange contracts, and arranging for its members to enter into foreign exchange contracts. ASIC is concerned about the number of companies operating similar business models to Monarch FX, which use trading software to automatically execute trades in foreign exchange contracts on clients’ accounts without instructions for each transaction. ASIC considers that this would constitute an MDA service, which requires operators to hold appropriate Australian financial services (AFS) licence authorisations and conditions. ASIC has issued Regulatory Guide 179 Managed Discretionary Account Services (RG 179) and several class orders setting out how MDA services for retail clients must be operated. Given the dangers and complexity of foreign exchange trading, consumers should understand the risks before investing and, particularly, establishing a SMSF in order to trade in foreign exchange. The next hearing of the matter will be on 21 November 2014 at 9.30 am.